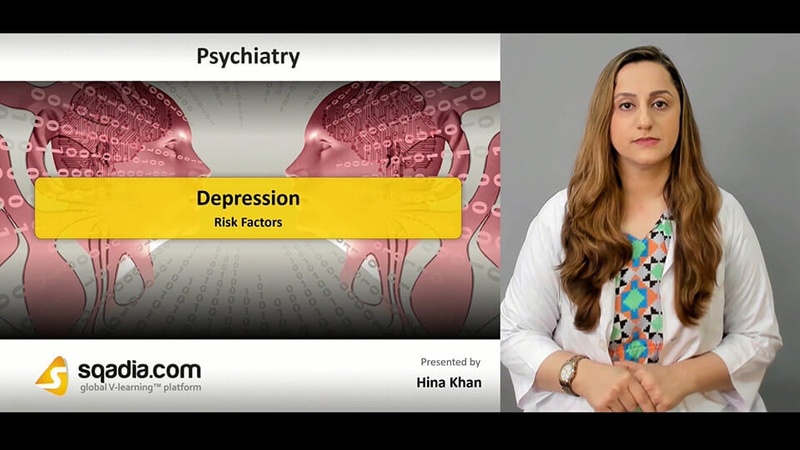 This sqadia.com medical video lecture is the elaboration of depression, risk factors associated with depression, diagnosis and assessment and how to manage mild, moderate and severe depression. 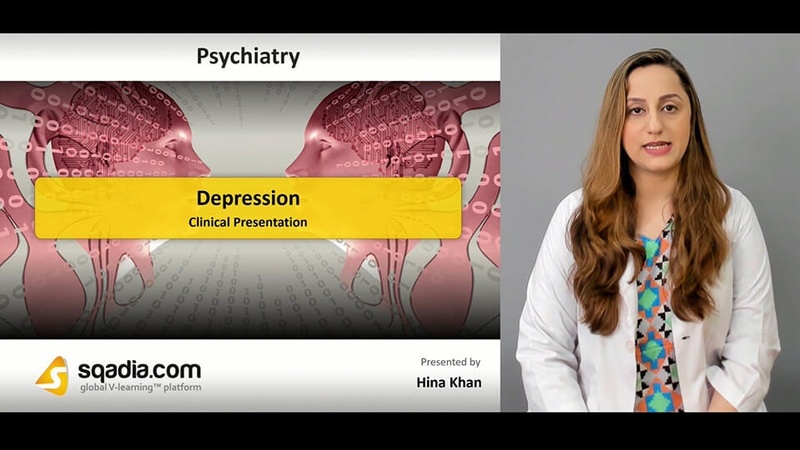 In this section, Dr. Hina Khan elaborates the depressive mood. Central feature of depression can be distinguished from dejection. Uncharacteristic tearfulness is common. Clinical features represent loss of interest and loss of energy in activities like work and hobbies. Increased rate of depression is seen in females specially at the time of menopause. Sociodemographic factors are associated with lower self-esteem, self-blaming cognitive styles. Psychosocial factors include events affecting parent-child emotional bonds, parental separation, childhood abuse. 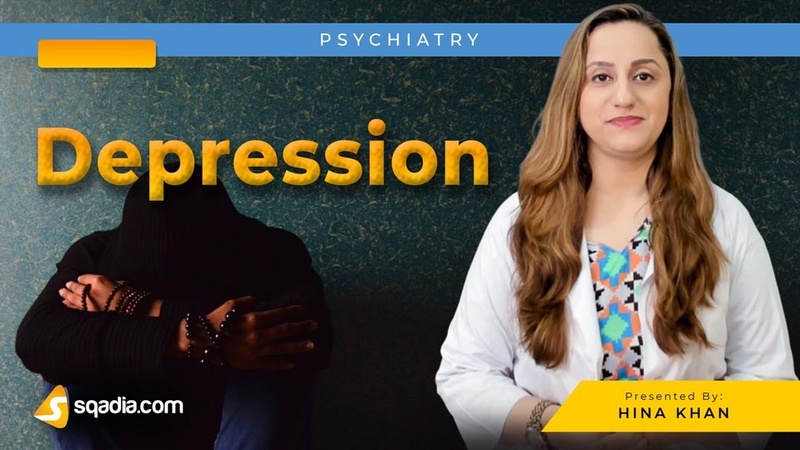 Hypertension and diabetes are the biological factors contributing to cause depression. Next is the elucidation of psychiatric co-morbidity. Nonspecific symptoms include headache, lower back pain, weakness and tiredness. Diagnosis is made on basis of history and mental state. 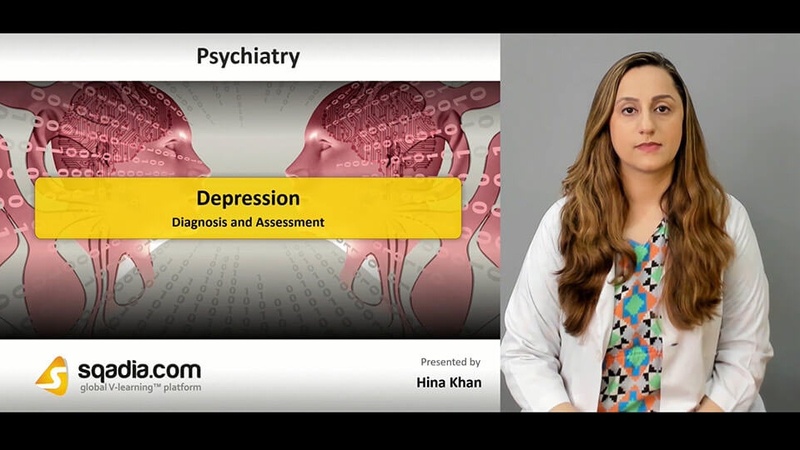 Areas to consider in history for the assessment of depression follows recent life events, difficult ongoing life circumstances, family history of psychiatric disorders. 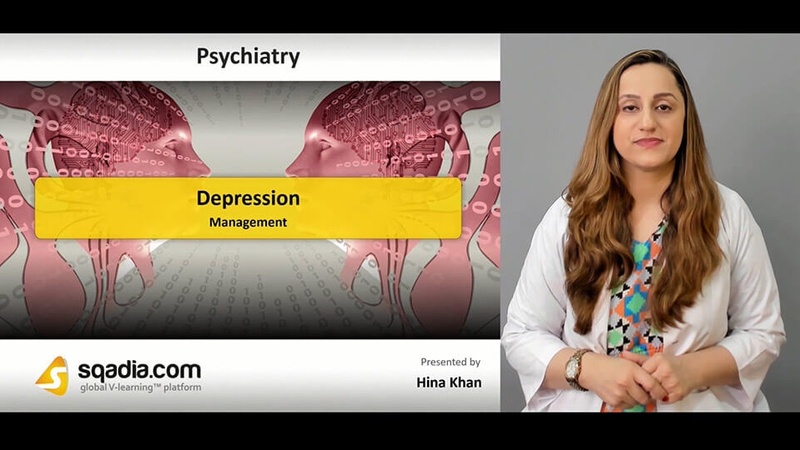 Dr. Hina Khan elaborates aetiological models of depression such as psychodynamic or interpersonal, cognitive, and neurotransmitters. Mild depression can be managed through counselling or problem-solving therapy, cognitive behavioral therapy, self-help programmes. In moderate/severe depression, antidepressant is the first line of choice for management. Electroconvulsive therapy is used for severely depressed patients. Alternative antidepressants are also discussed in this section.